When it’s time to facilitate world-class, rapid Maine Transmission Line Construction, it’s time to put a helicopter to use. Allow your business the freedom it needs to reach its full potential, to maximize on potential profits, in transforming even the most difficult transmission line challenges into opportunities. Dedicated, trained and experienced pilots routinely make a habit of Maine transmission line constructions. Their capacity for advanced helicopter logistics allow you the chance to focus on other prevalent aspects of your business, while placing transmission line operations into the hands of qualified industry experts. Take to one of America’s outstanding flight environments, in Maine. Welcome to the north, where awe-inspiring seasons provide more than aesthetic postcards. Maine proves a state well conducive for sustained aerial flight, especially with regard to transmission line operations. In the Pine Tree State, transmission lines effectively serve as a connecting network, from one region to the next. In its most recent transmission line audit, Central Maine Power found itself servicing more than 23,000 miles of pole-distribution transmission line, a number which easily warrants the need for efficient, expedient transmission line operation. Characterized by forests and frequent hard-to-reach regions, Maine itself is uniquely conducive to helicopter-facilitated transmission procedures, given a helicopter’s ability to hover above areas traditionally difficult to reach on-foot. Helicopter can transport transmission line workers directly to any Maine location, regardless of topography. Their sheer power also helps to clear any obstacles in the process, providing workers with clear workspaces after eradication or branches or other impediments. Put an experienced and professional helicopter provider to work on your transmission construction operations. Courtesy of a network of trained, professional operators, FairLifts routinely provides Maine transmission line construction expertise at affordable rates. FairLifts’ partners have the operators, aircraft and the hardware to render any transmission line construction undertaking a job well done. 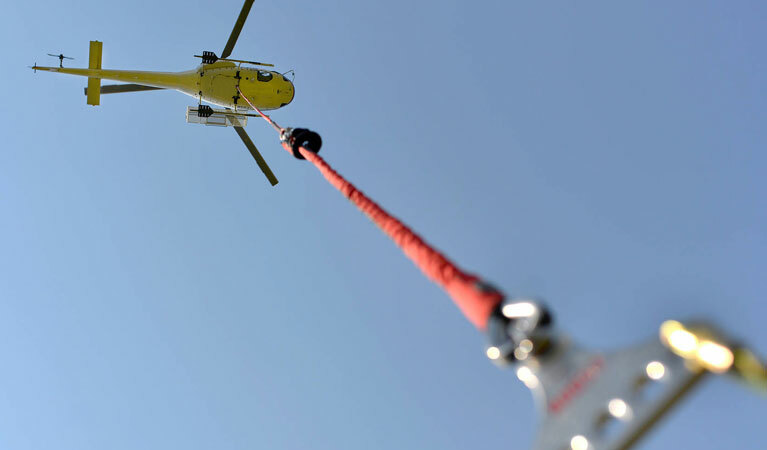 No matter the size of the cargo, or the awkward load itself, a professional and experienced helicopter operator can make your transmission construction operations simple and straightforward. Take care of the complete extent of your external load needs, and allow a helicopter to literally take the heavy lifting from your hands! String wire from one destination to another in a fraction of the time, when you provide the undertaking with the aerial access it needs. You’ll be allowed to skip the ground gridlock and instead take your stringing wire needs skyward. String wire from one location to the next with ease. Make utility pole installation easier than ever before, when you put an aerial lineman and survey helicopter operator to work on the job. 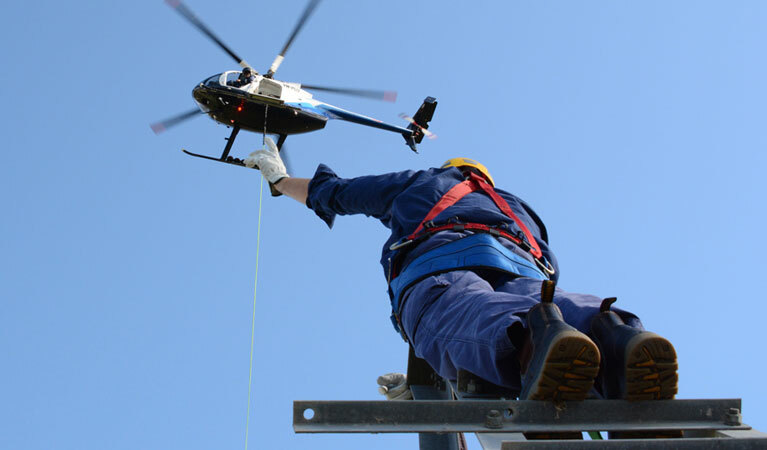 Whether it’s the installation process itself, or any subsequent repair work that must be sustained for continued utility pole operation, the simple solution is only a helicopter away. Achieve unrivaled access to your site itself, given a helicopter’s capacity to perform ROW and site inspections in record time. Whether it’s a general site survey or a holistic property audit, you can arrive at unique aerial perspectives that instantly allow you to grade transmission line operations from Maine skies. Allow your Maine transmission line construction ventures to benefit from the simple, aerial solution they deserve. 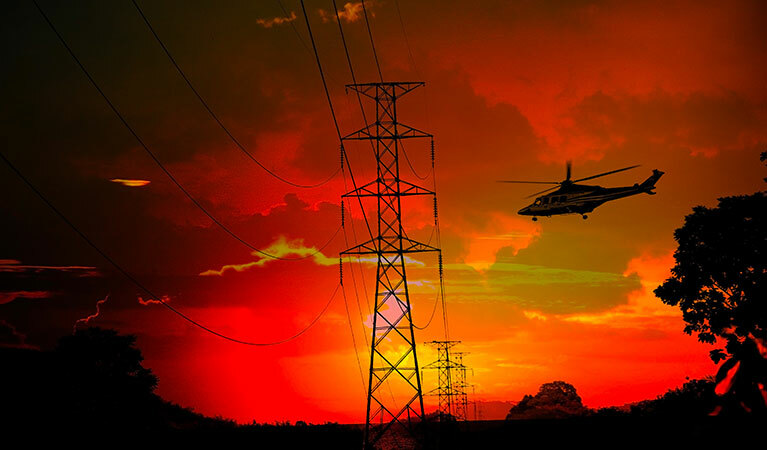 Put an aerial lineman and an experienced helicopter pilot to work securing easy transmission line success. Call a trained customer service representative at any hour of the day. You can also fill out an online contact form by navigating to our main site.